Beautiful lighting is an essential element of a comfortable and welcoming space. Make your home a reflection of your personality, from the front door to the back porch, and all lights in between. Kristine and Marva have a combined 30 years experience creating lighting solutions for homes and commercial spaces. Specializing in one-of-one consultations, we guide you through the "what ifs, do's and don'ts" of your lighting choices. Lighting is what makes a space "work" and feel comfortable and safe. Unfortunately, most spaces don't take advantage of this. We help people use the incredible power of lighting to create areas that fit THEM and what they want to do. Well-lit spaces are not just for high-end clients, either: additions, remodels, makeovers, new-construction, all of these can benefit greatly from thought-out, personalized lighting. That's what we do. A patented weatherproof illuminated street address sign makes a perfect addition to your home. Distinguish your street address with the latest LED technology. 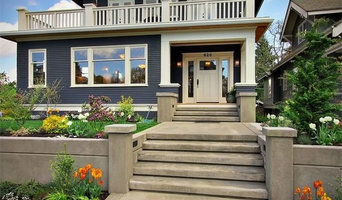 Seattle Home Lighting Specialist | 3X Best of Houzz Winner! On Bainbridge Island for over a decade, Great Northern Electric has the high end lighting design expertise to transform your home, inside and out. Call today for a consultation, and ask about remote control lighting! Never come home to a dark house again! We design and install custom outdoor lighting systems to meet the specific needs of each individual client. Our goal is to increase the safety, security and beauty of your property with stunning illuminations. At Outdoor Lighting Perspectives of Puget Sound we strive to delight each of our customers with the highest quality outdoor lighting design, installation and ongoing service. Starting with light fixtures in 1999, ATG Stores.com has been providing customers with a comprehensive selection of furniture and home décor products. We understand our customers want their homes to be a unique reflection of their personal style, and a place of comfort and inspiration to them and their families. That is why we are working tirelessly to provide all the resources you need to turn your house into a home. Choose from our wide selection of lighting, kitchen and bath remodel fixtures, cabinet knobs & hardware, area rugs, décor items and home accessories, furniture, and much more! Driven by design. Hubbardton Forge makes innovative and inspired lighting fixtures, pairing traditional techniques with modern technology. Every fixture is designed, engineered and handcrafted under one roof, in Castleton, Vermont. *Authorized Hinkley Lighting Dealer* New Name - New Look - New Ideas North Coast Lighting, family owned and operated, is a full line lighting distributor. With over 220 years of combined experience, our Associates provide exceptional customer service and a vast depth & breadth of product knowledge. Our value-added lighting services include lighting retrofits and lighting design capabilities by American Lighting Association Certified lighting professionals. From the basic to the unique, we offer a wide selection of lighting products, fixtures, hardware, and home decor. Our customers range from Homeowners to Builders, National Accounts, Designers, and Architects. Solid Apollo LED is a company that designs, manufactures and distributes State of the Art LED Lighting and LED Control Systems. We provide solutions for the professional lighting market; from light engines to specific control systems. Solid Apollo Offers 1000's of different LED Lighting products and control systems. From basic to high end LED Lighting installations. With more than 6,000 sq feet of warehouse and more than 1000 different products in stock, we can ship almost any product the same day. We not only provide the lights, but also the accessories needed for the whole installation from plug to light, and we provide excellent customer service and technical advice to ensure the most trouble-free installation possible. Solid Apollo LED offers a 3 Year Warranty on most of our products, free shipping on orders over $150, and a 30 day money back guarantee so if you don’t like it just return it. For more ideas, visit our home page, where you can browse our Shop by Project category for more LED ideas. Moon Shadows Landscape Lighting LLC began in 2008 after six years under the name Yard Moods Inc. We have designed and installed over 400 systems and have received numerous Northwest Flower and Garden Show awards and other special recognition. 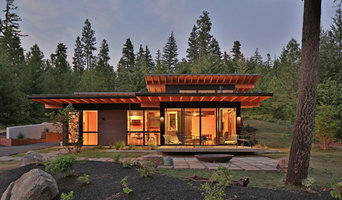 We work with many of the finest landscape architects and designers in the Northwest along with various custom home builders. Our lighting is an artistic endeavor that adds dramatic beauty to each home and garden. Who We Are Studio Lux is an internationally recognized architectural lighting design firm. In our portfolio of world-class museums, hotels, institutions, residences and commercial spaces, Studio Lux balances the artistry of lighting and the fundamentals of science to deliver exceptional design. We believe the practice of good lighting design is not just for large iconic projects. It is as important for a favorite room of the house as it is for a luxury office tower or estate. We never lose sight of the human condition and how lighting impacts mood, feeling and perception. Why Lighting Design Matters Lighting is the reason we favor one room in a house over another, why we’re more comfortable in some offices than others and why we enjoy the experience of shopping in one store over another. The impact of lighting is often subconscious but always powerful. It can be energizing, relaxing, inviting, even provocative and it can dramatically affect our mood. Lighting design is a process that goes beyond the selection of fixtures and use of technology. It is about the interaction of shape, space, color and texture with light to create meaningful and comfortable experiences. How We Work Our design team begins each new project with an understanding of your goals and how you intend to use and move through the space. Before we design, we listen. We embrace a concept-to-completion approach that is responsive to architecture, lifestyle and the environment. Our objective is to articulate your vision, a goal we achieve through the use of sketches and renderings with a mindfulness of field conditions, time and budget. Qu’est-ce qu’un éclairagiste ou concepteur d’éclairage sur Seattle, WA ? Comment choisir un concepteur d’éclairage ou éclairagiste sur Seattle, WA ? Pour trouver un fournisseur de luminaires et éclairagiste sur Seattle, WA, affinez votre recherche dans la section « Trouver un pro » par ville ou par nombre d'avis. Nous vous invitons à regarder des photos d'installations lumineuses et à contacter un fournisseur qui a travaillé sur des projets similaires au vôtre.